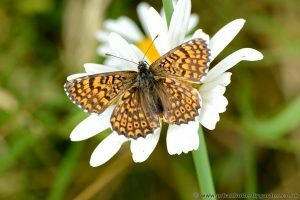 Once found as far North as Lincolnshire the Glanville has receded south ward since this time where this Butterfly is now almost only be found in coastal areas in the most southern counties of Britain it may be seen on the wing in June to July. Despite its decline in the North, butterfly numbers have stabilised where the Glanville can be found locally in coastal areas of Somerset and Hampshire, having a main strong hold on the Isle of White. 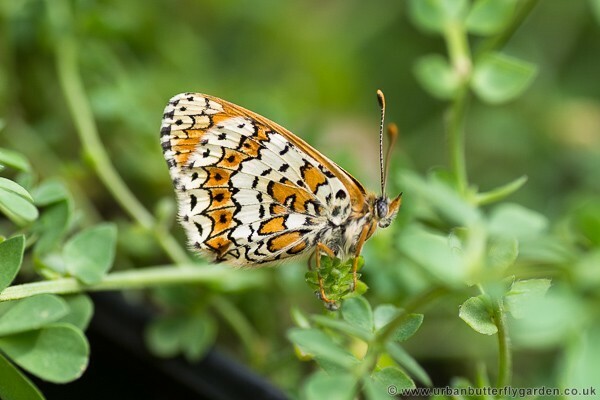 It is rumoured there are a number of undocumented sites where the butterfly can be found further inland in Surrey. Caterpillars feed on: Ribwort Plantain (Plantago lanceolata).